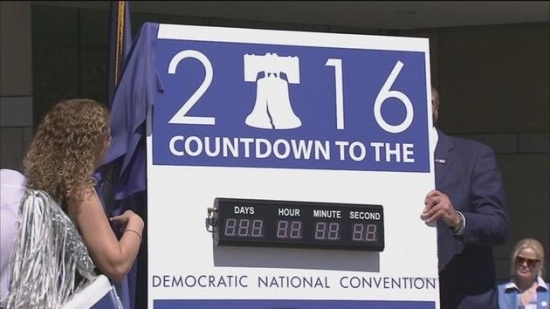 Today marks 100 days until the Democratic National Convention comes to Philadelphia on July 25th-28th. The occasion was marked by a block party outside of the National Constitution Center and updates on the progress by DNC officials. Mayor Kenny, former Pennsylvania Governor Ed Rendell, and other officials said that everything is moving along on schedule. An estimated 50,000 visitors will be in town for the convention which lasts 4 days. Unlike the Papal Visit, there will not be widespread closures or shutdowns except around the Wells Fargo Center. DNC CEO Reverend Leah Daughtry estimates that there will be a $300 million economic impact on the city as visitors spend money on hotels, food, transportation, and sightseeing. They have raised about half of their $85 million goal and have 9,000 volunteers signed up already. A 4-year-old was shot and killed inside her Kensington home on Saturday afternoon. It happened around 2:30 p.m. on the 200 block of East Mayfield Street. The girl was shot once in the face and was pronounced dead at the scene. The girl lived in the home with her mother, Tera Roddick, and father along with six siblings. The children were rarely allowed outside to play due to the violence in the neighborhood. A handgun was recovered. Apparently her 5-year-old brother got his hands on a gun and shot the girl. The boy and their father, 30-year-old Maurice "Stephon" Phillips, then fled the scene. No arrests have been made. Police are still investigating. UPDATE: The mother's boyfriend and the children's father, Stephon Phillips, has turned himself into police and is being questioned. The gun used in the shooting belonged to him. UPDATE 4/17: The father has admitted to police that he pulled the trigger that killed the 4-year-old girl. He said the 5-year-old had nothing to do with it. Maurice Stephon Phillips has been charged with 3rd degree murder, involuntary manslaughter, and endangering the welfare of a child. Police are investigating a hit-and-run overnight in West Philadelphia that left a bicyclist severely injured. It happened around 3:30 a.m. near 45th and Market. A 26-year-old man was found on the side of the road with severe head injuries. A heavily damaged bicycle was found nearby. Authorities thought he may have been assaulted. He was taken to Presbyterian Hospital in extremely critical condition. Doctors determined that he had been hit by a vehicle. At this point they do not have a description of the vehicle. Anyone with information is asked to call police.